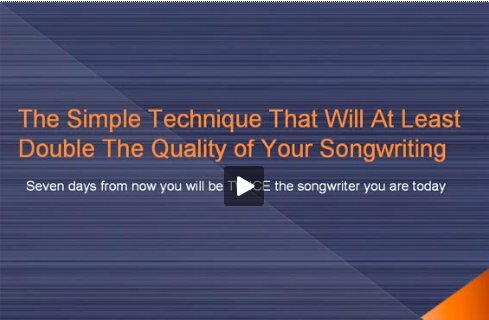 NOTE: This tip is part 3 from a six part song writing tips series. An important concept to understand is that to create magnificent song ideas, your mind requires the right information… the right knowledge. An easy technique to help you acquire knowledge that will increase your creativity is to learn how to play songs created by musicians you respect and enjoy listening to. The reason is, by mimicking what your favorite musicians are playing, you are learning valuable information about the way this music you love was created. As you do this, you will both consciously and unconsciously take in many insights as to how the piece was constructed, why it's played the way it is, and all the subtle nuances that make the piece of music work. If you use this strategy for many of your favorite musicians, you will notice that when you have your own creating sessions, elements of your favorite musicians will magically weave itself into your style. You don't even need to think about it. By simply learning a few of your favorite songs, you will adopt some of the "magic" into your own songwriting. You will get FAR MORE benefit from this idea if you transcribe the piece of music yourself. This means that instead of tracking down the music in sheet form, you listen to the song and make an attempt to work it out yourself. Now, if this is beyond your reach, don't worry. It's still VERY effective to find the sheet music and learn it that way.But if you are able to transpose it yourself (even if it will take a long time) I highly recommend you do so. So to take action on this song writing tip, here’s what you need to do. 1. Write down three songs that you LOVE that also contain stylistic elements that you would like in your music. 2. Choose the song you want to learn first. Listen very closely to it and see if you can work out how to play it on your instrument. As you do this, listen for more than just the notes. Listen for the way the notes are played. The way the sounds are formed. And the way the different instruments sound in the piece. Try and re-create all these elements on your instrument as closely as possible. 3. Once you’ve used this strategy on song number one, work your way though song 2 and song 3. Once you’ve done this with 3 different songs, you’ll be surprised how much insight you’ve had into how these pieces were constructed. And as I mentioned earlier, when YOU go to create music yourself, this new knowledge you have will seamlessly weave it’s way into your creations, making them FAR more compelling and inspirational.